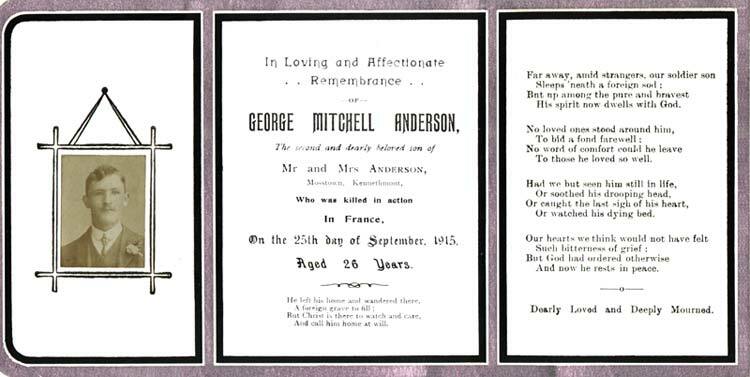 George Mitchell Anderson was born on 22nd February 1889 at Roadside, Clatt and was the third oldest of a family of three brothers and four sisters. 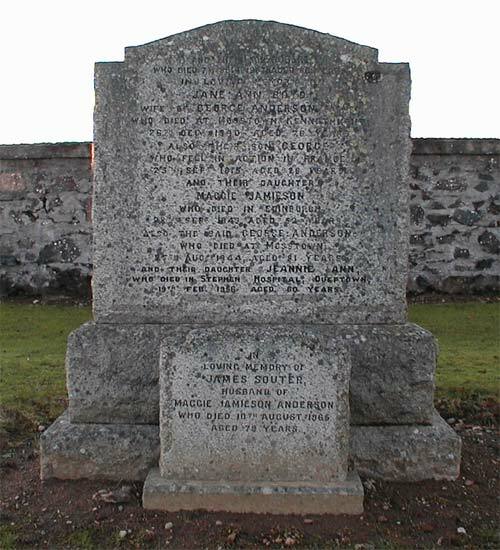 His parents George Anderson and Jane Ann Boyd were of local farming families, the Andersons at Bankhead and the Boyds at Broadmire, Clatt. George Snr worked the croft of Little Towie for some years during which time his family attended Clatt school. Sometime after 1901 the Andersons moved to Auchinleith, Lumsden and, a few years later, moved to the larger farm of Mosstown, Kennethmont as a tenant on the Leith Hall Estate. George, Jnr was a member of the Territorial Force which was established in 1908. 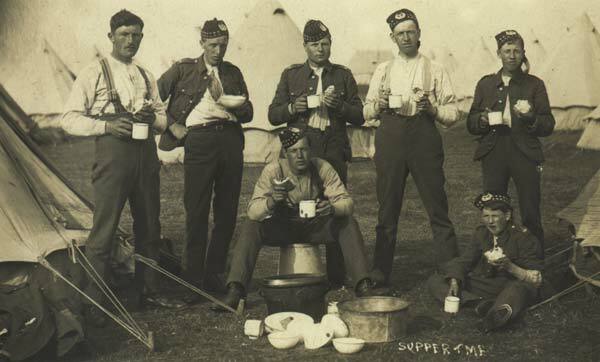 Territorials met each week for training and had an annual camp each summer. This was usually the only " holiday " the men had, and better still, they were paid to be there. On joining the Territorials a soldier agreed to be available for home service only and could not be posted overseas unless he volunteered to do so, and even then could only serve in his own unit. 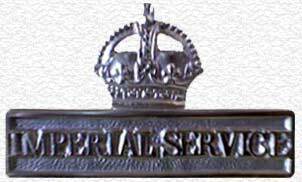 When the threat of war came in 1914 most of the Territorial Soldiers of The Gordon Highlanders agreed to serve overseas and thus became available for 'Imperial Service'. 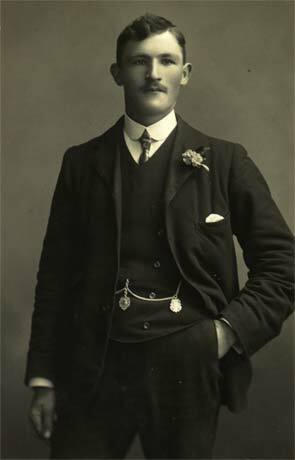 These men, including George Anderson, were then entitled to wear The Imperial Service Badge ( clearly shown in the photo above ). 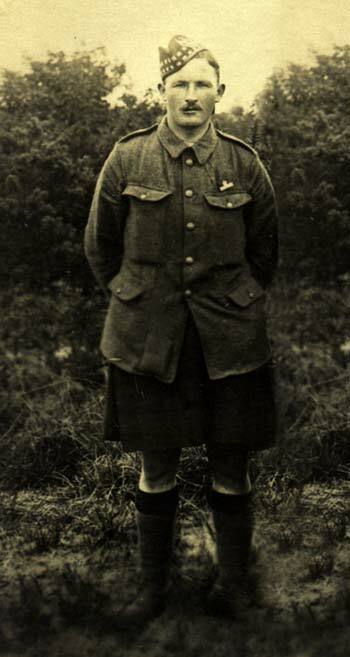 As a member of 'H' Company, 6th Battalion ( Donside and Banffshire), Gordon Highlanders (Territorial Force) George reported to The Drill Hall in Huntly with his local comrades when the Battalion were mobilised in the evening of 4th August 1914. 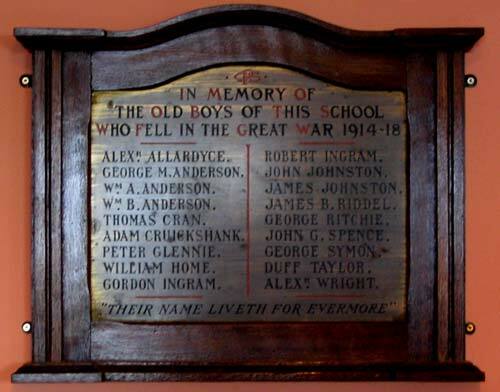 His company marched by road to Keith where all the companies of the 6th Gordons assembled during 6th-7th August, the men being billeted in the school and in private houses. Organisation completed they left Keith by train on 11th August for Perth. 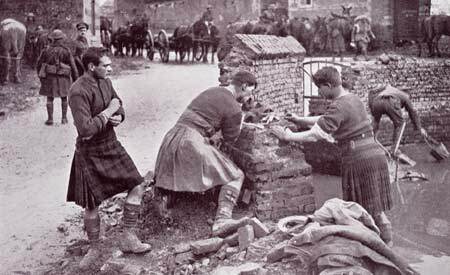 On the 16th they moved on to join The Highland Territorial Brigade in The Highland Division at Bedford and were billeted in private houses in the Bromham Road area of the town with their Headquarters in the Girls High School. For three months they trained and prepared for their eventual move to the Western Front and on 22nd October were reviewed by the King. On 9th Nov 1914 the Battalion journeyed to Southampton by train. That evening at the docks they joined the troopship "Cornishman". They disembarked at Le Havre, France next morning and marched to No1 Reserve Camp on top of the hill behind the town. returned shortly before being mobilised. George Anderson is on the left and it looks like William Milne standing in the centre. On 6th December the 6th Gordons, in 7th Division - 20th Brigade became the first 51st HD battalion to arrive on The Western Front joining up with regulars of the 2nd Gordons, Scots and Grenadier Guards in the trenches in front of Sailly, near Armentieres. 'A' Company were the first into the trenches. Four days in the line and four resting in billets to the rear was the usual routine. The battalion were billeted south of the town and much time was spent cleaning up after a tour in the mud swamped trenches. Two months later the 6th were again in action during the Battle of Festubert, 16th - 18th May 1915, where their Brigade been holding the line in front of Festubert. Initially in reserve the 6th became involved in the fighting during the latter stages of the battle. Owing to the severity of the fighting they suffered considerable casualties. 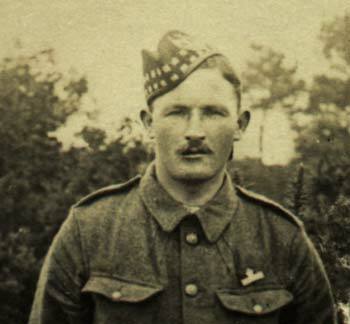 George's cousin William Bruce Anderson, Muirs of Seggieden, was killed by a sniper's bullet near Cuinchy in June while serving in the 6th Battalion. Like all the great battles of WW1 Loos was not a single action, but a series of engagements against well defended enemy positions along a wide section of the German front line. The Loos battlefield lies to the north of the coal mining centre of Lens, in the heart of the industrial area of north-east France. The terrain was fairly flat, although dominated by pit heads and the massive spoil heaps created by deep mining. The best known of these landmarks were the Double Crassier and Tower Bridge. 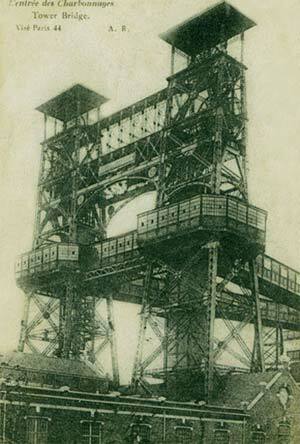 Near Loos en Gohelle, The Double Crassier landmark of 1915 stood on this site. The Loos offensive began following a four day artillery bombardment in which 250,000 shells were fired on the German line. At 5.50 am the artillery fire lifted onto the German front line and a cloud of chlorine gas was released from cylinders placed along the front. This was the first time that the British had used poison gas and it meant that infantry had to get out from their jump off points, advance and fight wearing uncomfortable gas helmets. 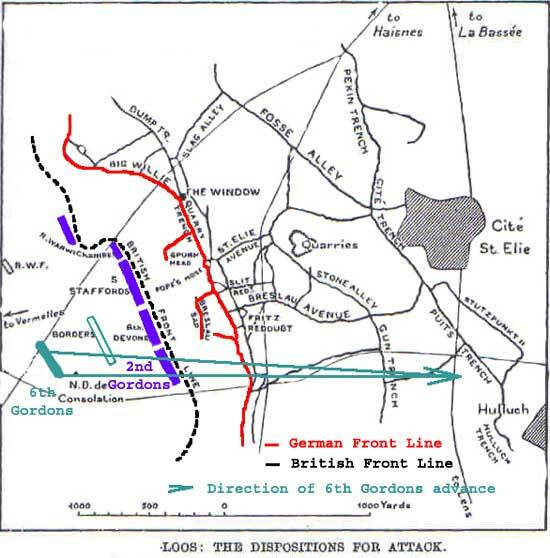 In some areas the gas did not drift forward onto the German lines, as intended, and caused problems for attackers as they advanced into the cloud to reach their objectives. 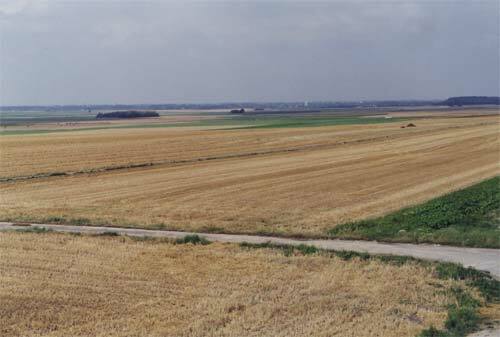 The Loos battlefield viewed from Dud Corner Cemetery. Vermelles is on the top left corner and Hulluch on the right. The Gordons advanced from left to right in the middle distance. The 6th Gordons were in assembly trenches in front of Vermelles and were not greatly troubled by the gas when they left them at 6.30 and charged towards the German first line in support of the 2nd Gordons ahead of them, where they reformed and then stormed the Hussey Redoubt. They met little opposition and swept forward 1,200 yards, crossed the Vermelles - Hulluch road and captured a gun battery, together with and German officer and forty men, at Gun Trench. They pressed on and reached the Lens - La Basée road in front of Hulluch before being checked deep within the ememy's defences where they were left exposed with their every movement observed by hidden enemy. The slightest movement drew deadly accurate fire and both battalions suffered heavy losses while the enemy grew stronger by the hour. The Gordon battalions dug in and organised their position for defence expecting reinforcements to come to their assistance. They held on throughout the day. During the evening a small party of 2nd Border Regiment, to be followed by a body of Royal Engineers, arrived at Gun Trench which they reinforced and worked to bring in wounded Gordons and assist with supplies, ammunition, etc. The enemy moved up silently at 11.30, but the alarm had been raised. The line became a hectic mass of friend and foe, " a gey steer " as one private later described the scene. When the Gordons were virtually surrounded there was nothing for it but to fight their way back to Gun Trench where those already there held their fire till the others got back. Then a murderous fire was rained on the advancing foe, the position was held. It was during these actions of 25th September that George Anderson fell. His body was not recovered for burial, therefor he has no known grave. He is commemorated on The Loos Memorial to the Missing with another 677 Gordon Highlanders. It forms the side and back of Dud Corner Cemetery, and commemorates over 20,000 officers and men who have no known grave, who fell in the area from the River Lys to the old southern boundary of the First Army, east and west of Grenay. Dud Corner Cemetery stands almost on the site of a German strong point, the Lens Road Redoubt, captured by the 15th (Scottish) Division on the first day of the battle. The pithead winding construction at Loos en Gohelle known to the soldiers as " Tower Bridge"
Casualty returns for the 6th Gordons after the battle record that 40 men were killed in action, 179 were wounded and 39 were missing. The 2nd Gordons who were ahead of them during the advance had 81 killed, 318 wounded with 117 missing. Many of those posting missing would subsequently be confimed as died in the field. Even though the 7th Division (including 2nd & 6th Gordons) sucessfully pushed their section of the line forward with heavy casualties this was not repeated elswhere at Loos. The battle was called off in failure on 28 September. 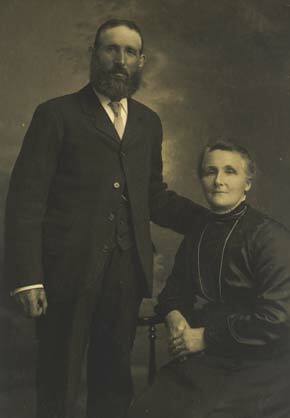 George's younger brother, John Cook Anderson, also saw service with the 1st Gordons. He survived the conflict and farmed for some years at Kylieford, Kennethmont. 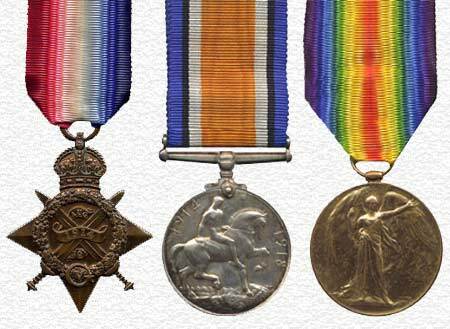 George Anderson was awarded these medals for serving his King and Country in The Great War. 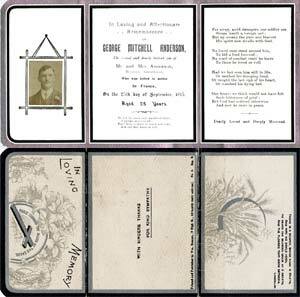 It was the practice of the time to commemorate a death on a Memorial or Death Card. The card on the left is tri-fold and double sided ( both sides shown). It bears a picture of George, details of his death and a verse. Click on the card to view a full size image. 25th Sept 1915 aged 26 years.."
on the same day during the diversionary attack near Hooge which prevented German reinforcements being moved South to Loos.